In Robyn Lee's review of Cafe Kashkar, she called out a few dishes that sounded and looked seriously awesome. 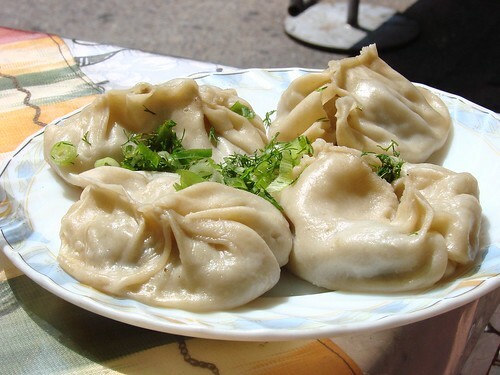 Among those were naryn ($6), which the menu helpfully describes as "pieces of dough with seasoning." This dish was served cold and the dough bits were chewy and very lamb-y tasting with a texture akin to noodle scraps. For a more traditional noodle experience, check out the Geiro Lagman ($6) noodles with meat & vegetables. 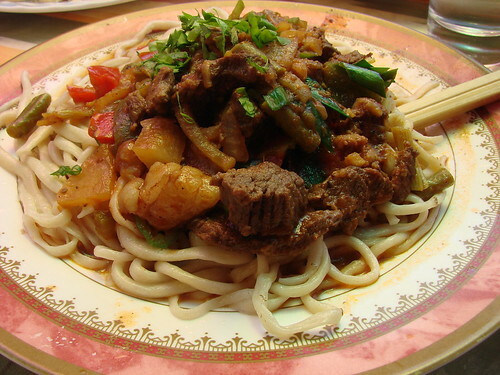 Tender chunks of lamb and veggies on a bed of hand pulled noodles seasoned with plenty of cumin and topped with scallions. This dish had a touch of heat as well. 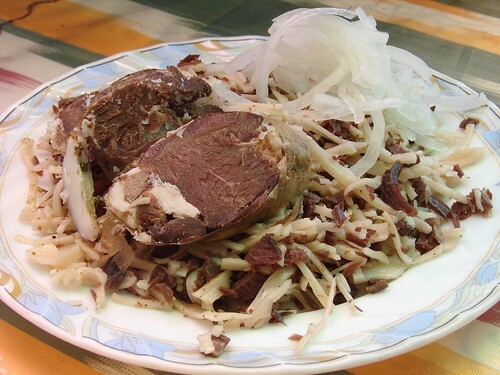 While the naryn was an interesting dish, it didn't blow my mind, the Geiro Lagman, however, was one that I'd seek out again, as were the manty, the tender lamb filled boiled dumplings topped with scallions and dill (seen above). 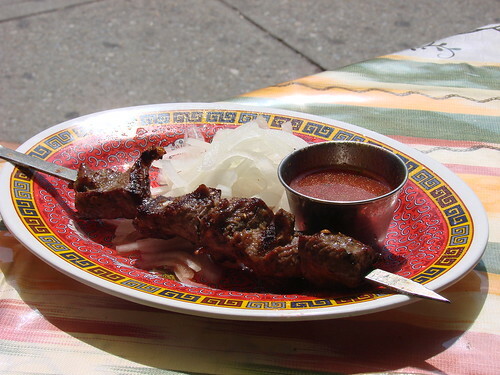 They brought out our dishes as they were ready and last, but not least, came the lamb kebab ($3). We only ordered one, which with all the other food was fine, but it was so tender, so juicy, so downright delicious, I wish that we had ordered more. 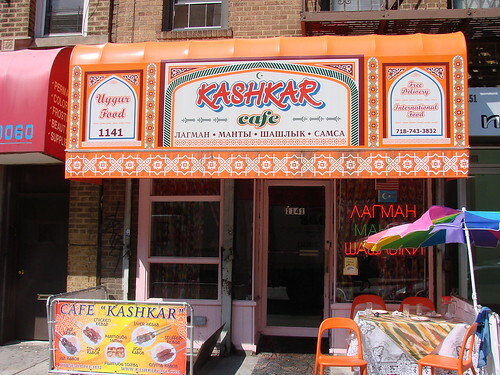 For lamb lovers, Cafe Kashkar is terrific spot to explore. Heading to Brighton Beach to eat at Cafe Glechik (where Bourdain went on No Reservations) is one of my favorite NYC excursions. This place looks awesome. I will definitely be stopping in sometime. Cafe Glechik is awesome! I was introduced to them at Choice Eats and I've been meaning to go back ever since.